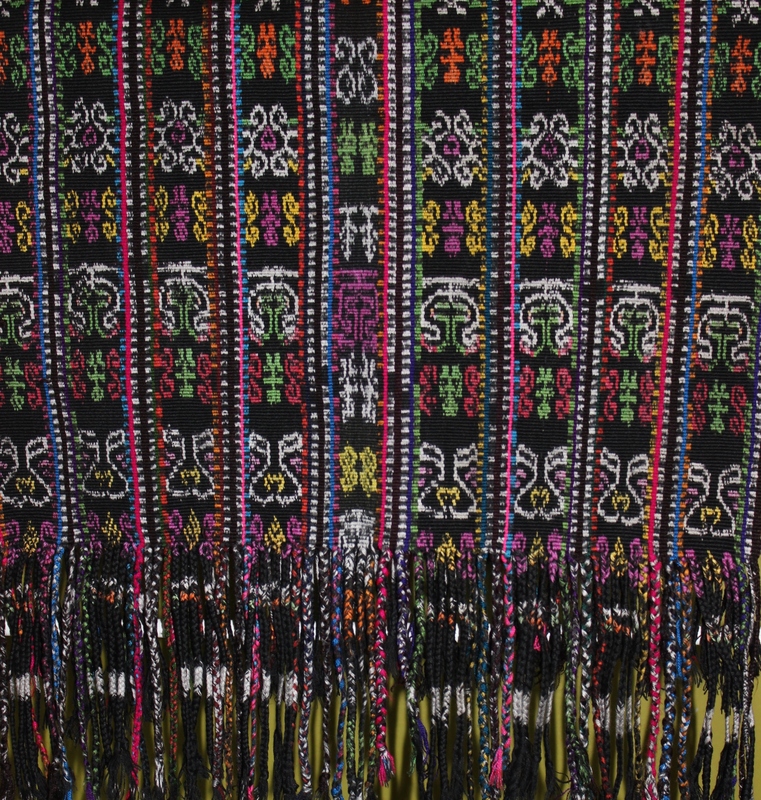 This work of MAYA ART is unique since this weaving is the work of individual weaver who creates a color scheme, insert ikat thread into the weave and applies a color/weave theme that no other weaver can easily replicate. The MAYA Hand Woven IKAT Runner is hand-made using the traditional Maya Kakchiquel ikat (tie dye) weaving technique. 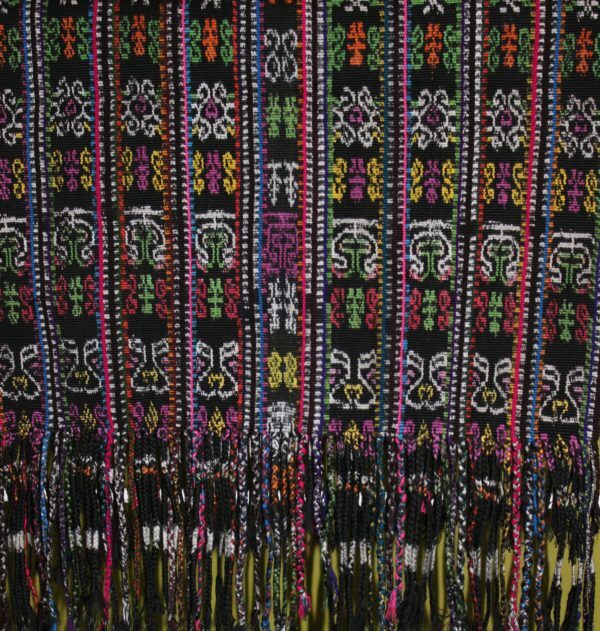 The runner is made of cotton and acrylic thread and the weaving was created (woven) on a back strap loom, by Florestina Bixcul in Solola, Guatemala. The weaving is 67 inches wide x 17.75 inches long. This durable hand woven cloth can be used for in variety of ways. It makes a beautiful cover for small table, framed and hung on your wall, center-piece for a coffee table.